Shopping for diamond anniversary rings is not always an easy task as there are so many factors that you must take into consideration. 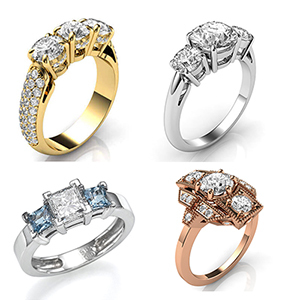 These are rings that boast of having a classic appeal, brilliant sparkle, and superior durability, and it is something that your spouse is bound to appreciate. If you have been contemplating ways to surprise your spouse, then look no further than a diamond ring—it will always do the trick. Having been with your partner for a while, you already have a clue on what they like when it comes to jewelry matters. 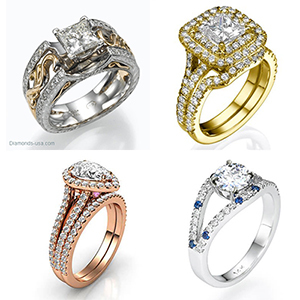 Experts from Diamonds-USA recommend buying diamond anniversary rings that match with your partner’s style and fashion. If you want your partner to wear the diamond ring often, you have to find something that they will be comfortable with. If you are not yet sure on what they would like, it is time you start paying attention and soon enough you will be able to figure this out. Many people would like to wear a diamond anniversary ring that compliments their engagement or wedding rings. If your partner is in this group, this is something you will need to keep in mind during your search. 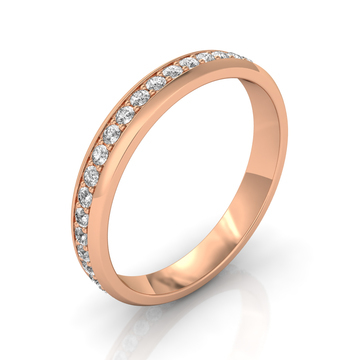 For this, you need something that has consistent metal types, and stones that complement the other ring. There are partners that would rather not have a ring that matches the others. If your spouse would rather have a unique anniversary ring, consider going for a custom design. You can always opt for a ring that includes significant birthstones that represent your love and relationship, or any offspring that the two of you might have together. For those that are completely stuck on what they should get for their spouses, there are two options that they can never go wrong with. One involves getting your significant other an eternity band. It is a simple, but subtle way for you to demonstrate your love and commitment to your partner. 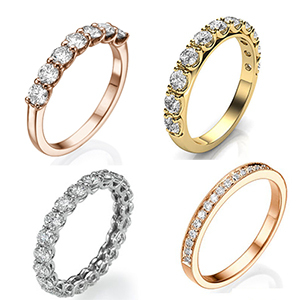 Eternity bands and rings come in both simple and elaborate styles to match your preferences. The second suggestion for that person who is unable to make a decision on what to choose will be to get your loved one a 3-stone ring. This kind of ring will surely help you make a strong statement on your love for your spouse, and the relationship that the two of you share. Many rings in this category feature three diamonds, although there are some that also include a gemstone as part of the setup. Why Purchase Diamond ring for Anniversary? Purchasing an anniversary gift can be really intimidating. The diamond anniversary rings available at www.diamonds-usa.com includes all the various types of rings mentioned here, and much more. Visit them today for your upcoming anniversary celebration.